Currently available as a 3 disc (2 CD / 1 DVD) Deluxe Edition, which includes a new stereo mix and a 5.1 Surround Sound mix of the album. 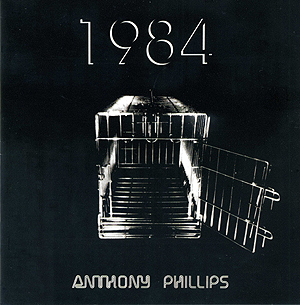 The cover design for the album had a small variation - on the UK release, Ant's name appeared immediately below the album title and above the picture of the cage. On the US release, Ant's name appeared underneath the cage. The UK variation of the artwork was used on the Virgin CD re-issue, whilst the US version was used on the double CD re-issue of the album. Initial pressings of the UK LP release came with an insert of a black and white photo of Ant in the studio. The photo can be seen here. The Definitive Edition of the album was released in a digipak with a small poster. The set includes a new stereo mix and a 5.1 surround sound mix of the album by Andy Miles and Simon Heyworth.